Can the PlayStation VR headset become a success? Despite what many pundits were predicting, virtual reality (VR for short) has failed to set the world alight, with headsets like the Oculus Rift and HTC Vive garnering a lot of attention at first but not getting much attention from the public later. This is because both Oculus’ and HTC’s offerings were quite expensive for the average consumer (the Vive particularly so), plus they also require a pretty state of the art PC to run the very limited selection of VR games available at the moment. So it’s clear that VR headsets might not be everyone’s cup of tea, especially considering that wearing these headsets is reportedly not such a comfortable experience (and might even make other people think you are a bit too self-absorbed…). But now there’s a new contender in the field, namely Sony’s PlayStation VR headset, which might just reach more people than Oculus’ or HTC’s offerings for several reasons. This is because Sony’s headset is more sensibly priced than its rivals (it retails at $399 in the US), and also because gamers will only need a PS4 console to use the headset, which they are already more likely to own, and also comes in cheaper than a powerful PC. Unlike rivals Oculus Rift and HTC Vive, the Sony PlayStation VR requires a PS4 console instead of a high-powered PC to run. But still, taking into account that more than 40 million PS4s have flown off the shelves since the console launched back in 2013, that’s a whole lot of people Sony can sell their headset to, and even if only 1 % of PS4 owners take the plunge and buy a PlayStation VR headset, that would still be hundreds of thousands of units sold for Sony. Another matter is whether the PlayStation VR and its ilk can become a long term success, and this is more doubtful, as there are cheaper contenders on the horizon. Google will soon enter the market with its Daydream View VR device, which although will lack support in major AAA games like Resident Evil 7 will be much more affordable than other offerings (less than $100 in the US), and is designed to be used with Google’s new Pixel phones, working in a manner similar to Samsung’s Gear VR device. 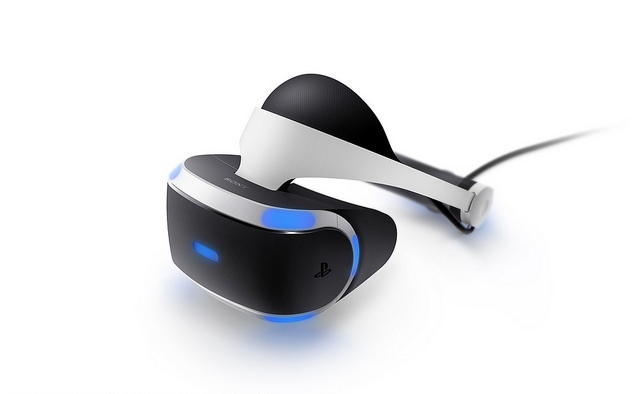 So even if PlayStation VR might initially sell strongly due to enthusiast interest (or at least those enthusiasts who gave the Oculus Rift a pass and were waiting for a more affordable alternative) and the PS4’s huge user base, it might be a better bet for most people to wait until the VR market and available headsets offer a better and more affordable experience for everyone, even if Sony’s PlayStation VR is not a bad virtual reality product by most accounts and will likely improve in the future.